We are the prominent organization of this domain engaged in offering a wide spectrum of Mini Rollup Stand. This stand can be placed anywhere in the ground, plain and rough surface without fearing the fall. 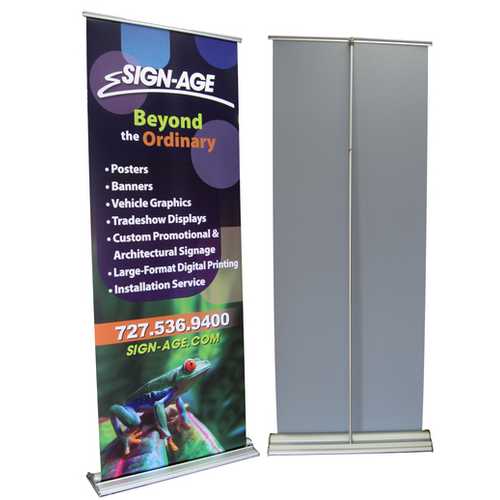 It has strong base that keep the banner display stand up-right. In supermarket and grocery stores such base stay glued to the surface and never gets miss placed due to a push. This is manufactured using quality steel and rods. Clients can get the stand from us at cost effective price.